Palm Soapstone has arrived! 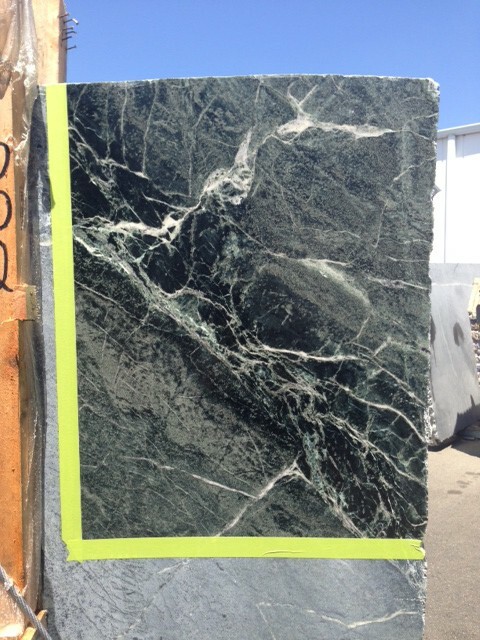 This beautiful stone is a lighter variety with white and a touch of turquoise veining. 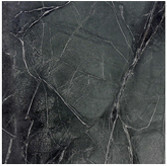 This soapstone is truly one of a kind. 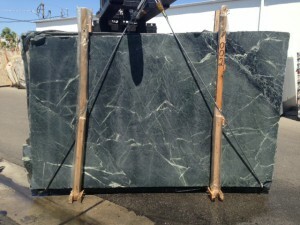 Come into Soapstone Werks today to see this stone. 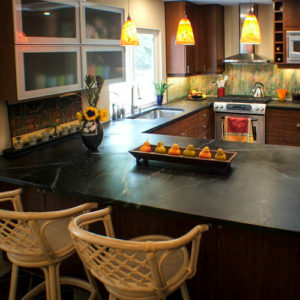 The coloring of Palm Soapstone is the kind of beauty that belongs in every home. 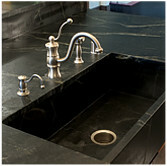 Soapstone Werks is the place where kitchen and bathroom dreams come true. 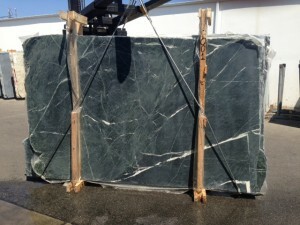 Soapstone Werks office staff was incredibly helpful and knowledgeable, very friendly. 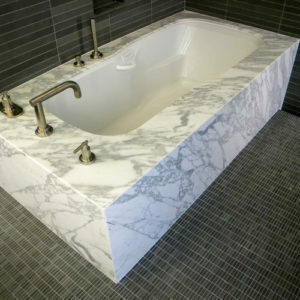 The installation went perfect, they were so professional and clean. They paid very close attention to our request to work around our construction crew. 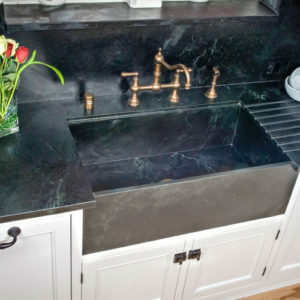 Our favorite thing about soapstone is the soft feel. 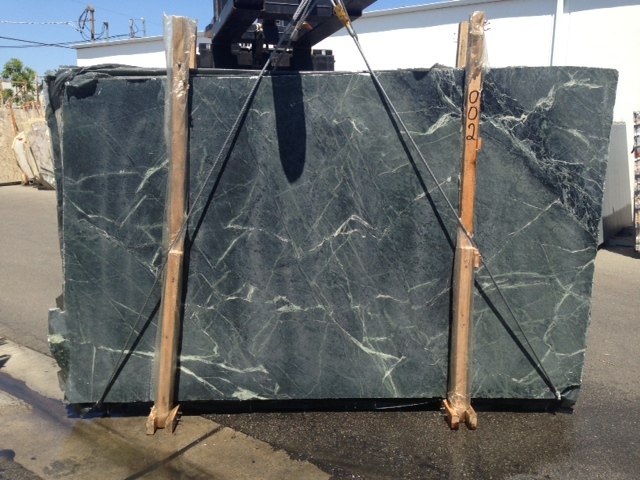 The slab we picked out at Soapstone Werks had a look unlike any of the slabs we had seen so far. The way it looks is so unbelievable with its variation. So classic. 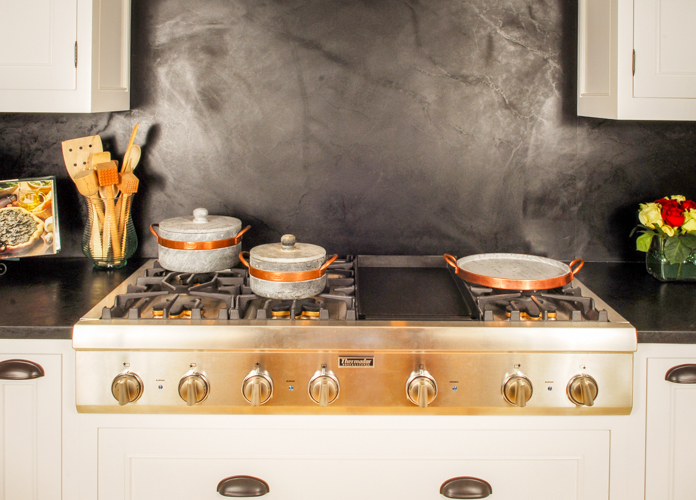 Love the living finish and patina that comes with the use of the counter-tops. The clean-up is incredibly easy. 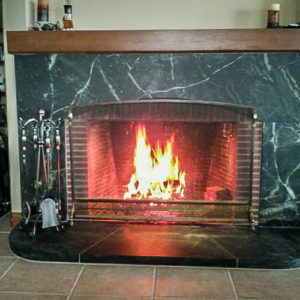 We had it installed about eleven months ago and I just oiled it this past weekend. 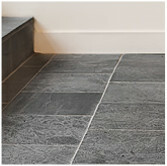 I would recommend soapstone without a doubt. 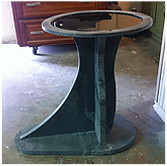 I would recommend Soapstone Werks to my friends completely. 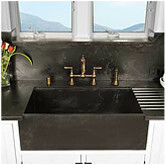 I looked for quite some time for a company that was trustworthy and professional and when they called me back so quickly and scheduled an appointment for questions and answers, I knew Soapstone Werks were the ones to deal with. 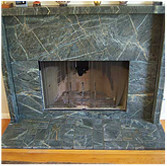 I absolutely had a wonderful experience with Soapstone Werks. 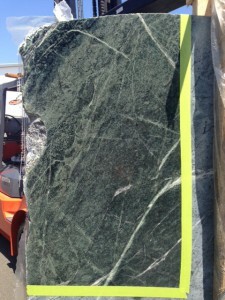 I found a slab, placed an order and had counter-tops in two days. Being quick is not the only great thing about this company. 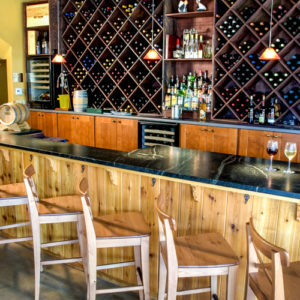 They are incredibly friendly and knowledgeable. 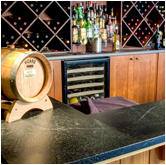 They worked well around our construction crew and the counter-tops went in without a hitch. 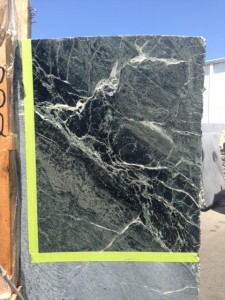 I recommend them to anyone in this area looking for soapstone. I didn’t have to wait several days for a call back. They called me back within an hour, even with their busy schedule and it being a holiday weekend. 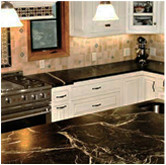 By the way, the entire family loves our counter-tops and when we have company they always comment on how beautiful and fitting they are for out kitchen. 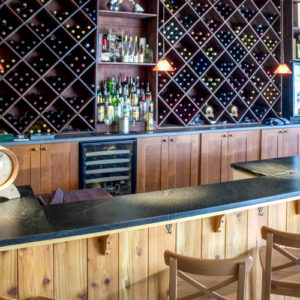 Thank you so much for making our remodel so enjoyable.